Considering someone might want to play game in a LAN with multiple MEmu instances, here are the tips about how to setup bridge connection. 1. 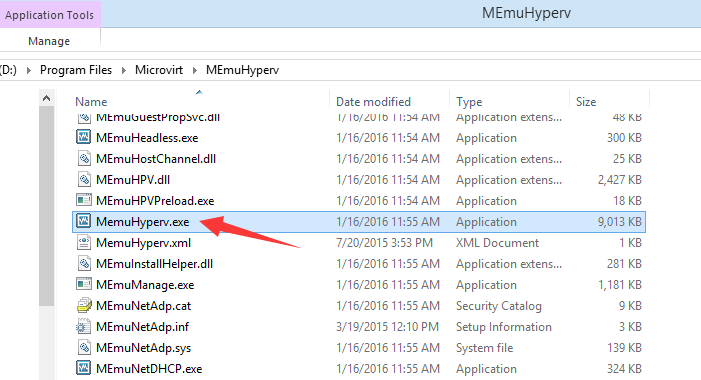 Enter into MEmuHyperv\ folder and run NetFltInstall.exe with admin privileges. This step is to install the driver of network bridge, which is not installed by default. For few Windows 10 system, this driver might not be able to be installed properly (known issue). 2. 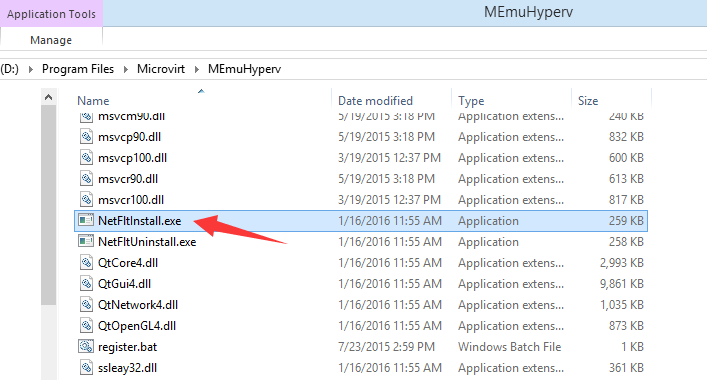 Stay at the same folder, run MemuHyerv.exe also with admin privileges. 3. 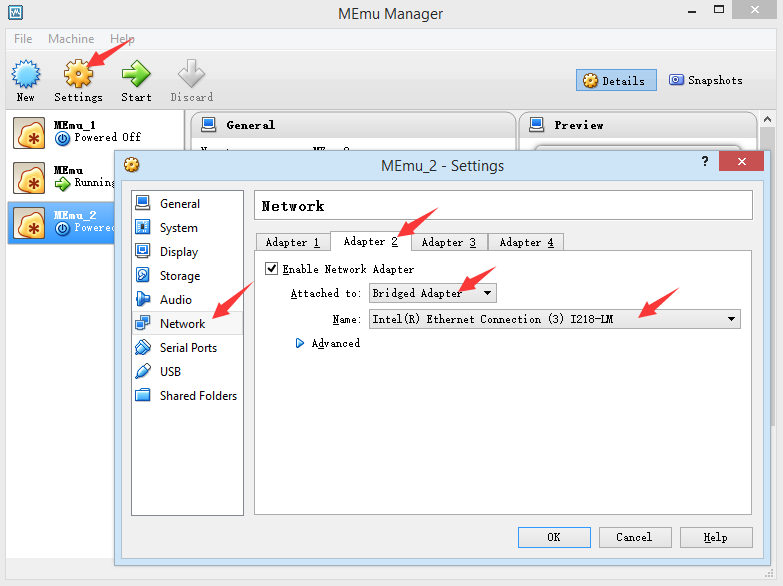 Select the target MEmu instance, click Settings and then Network, select Adapter 2 (Adapter 1 is configured as NAT by default), change it to Bridge Adapter and a certain Ethernet Connection as showed below. 4. Save and restart. Ready to go with bridge connection now.